Since the Syrian people began their uprising against the rule of Bashar al-Assad, Americans have been told repeatedly that there is little they can do about the situation. Experts in think tanks, universities, and the halls of U.S. government have been eager to remind us that the conditions in Syria—with its fractured opposition, brutal and loyal military forces, and fragile regional neighborhood—simply didn’t leave much room for Americans to make a difference. But Robert Ford, our ambassador in Damascus, never seemed to accept this simplistic line of thinking. By bearing witness and speaking out relentlessly from inside the country, Ford has, at great personal risk, kept world attention focused on the crimes of the Syrian government. More so than either President Obama or Secretary of State Clinton, both of whom have been far too tepid in their public pronouncements, Ford has been an exemplary spokesman for liberal values and human rights. Now, Ford is facing the prospect of being forced to return to the United States, not because the Syrian government might throw him out, but because Republicans in Congress might essentially recall him. This is insanity. The ambassador’s willingness to anger Assad and put himself at risk has made him a hero among some protestors. As The New York Times quoted one activist saying during Ford’s July visit to Hama, “Residents feel a kind of protection with the presence of the ambassador. The authorities wouldn’t dare react with violence.” That sense of protection is sometimes quite literal. The turn of events at a September funeral for a murdered activist suggests the government is unwilling to act violently in his presence: Not typically shy about murdering mourners at public funerals, Assad’s security forces waited until Ford had left before raiding the wake. 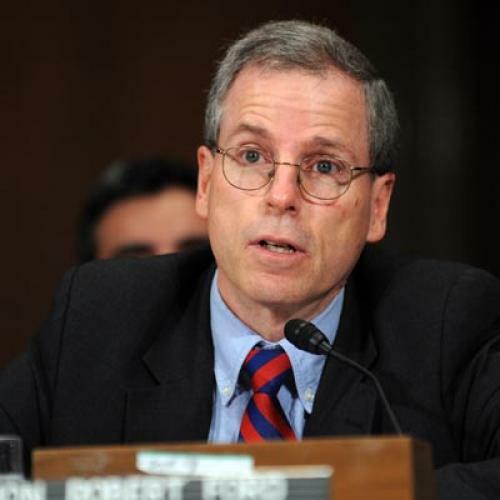 The onus is now on Republican senators to allow Ford to remain in Syria. Because he was named to his post via recess appointment, Ford will have to give up his ambassadorship if the Senate does not confirm him by December. The GOP line coming from senators like Marco Rubio and Tom Coburn is that we should punish the Assad regime by removing Ford from Damascus. But by doing so, we’d only be punishing its opponents—and preventing a heroic American diplomat from continuing to do his important work.